Shopaholic to the Rescue, the eighth book in the too-wonderful-for-words series, picks up right where Shopaholic to the Stars left off. Becky is on a desperate mission to find her dad, who has run off to Vegas with Suze’s husband, Tarquin. (Doesn’t sound like the Graham and Tarkie you know? That’s why it’s a desperate mission!) Between trying to get to the bottom of her dad’s secret business, attempting to keep her frazzled mum calm, and trying to mend fences with Suze (I don’t like to see these two fighting! ), Becky is doing everything she can to keep her crew on task without unraveling herself. It’s one part travelogue, one part Ocean’s Eleven, and fifty parts Classic Becky Bloomwood. What could be better than that? After spending over a decade of my life with Becky, I feel that we’ve become great friends. Sure, she’s “fictional,” but that doesn’t mean that I don’t love hanging out with her, and this journey is just as fantastic as all of the wild rides we’ve already been on. (Becky in Vegas? Watch out, world!) As with Shopaholic to the Stars, the stakes here feel so much higher than they did in the earlier books in the series. No longer is Becky hiding purchases or hiding from her bank manager (but don’t worry—Sweetie Smeathy is still around). Now, she’s using that same gumption to save her family and hold her friendships together. And never fear—the hilarious hijinks are as funny as ever, and Luke is every bit as dreamy as ever. God. Luke. Has anyone ever been as perfect as Luke? If you loved the previous Shopaholic books, don’t even hesitate. Grab this book and get a little more Becky in your life, stat. If you haven’t read any of Becky’s adventures and love screwball comedy with oodles of heart, it’s never too late to join the fan club! Just be sure to start with book one and read them in order, because watching Becky’s growth and the journey of her unbreakable spirit is something you will not want to miss. 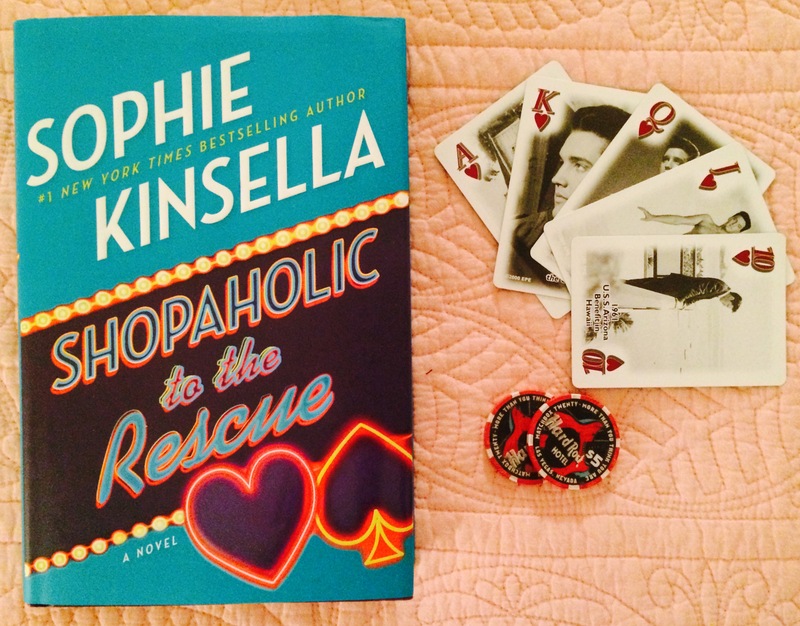 For more on my hero on all things, Sophie Kinsella, visit her website and follow her on Facebook and Twitter! Once again, you’ve brought a smile to my face. It sounds like a fun filled adventure in Vegas! Thanks Book Perfume! You sound like as big a Becky fan as me. I loved all the last books, although was dissapointed with the last cliff hanger. Now I have just got myself a copy of this book and have just begun it. Oh how I missed Becky and dreamy perfect Luke. I look forward to reading her mishaps. Great review. Thanks, Amanda!!! I look forward to hearing how you like the new one!! Luke & Becky forever!! !